During the ceremony of raising the national flag of Ukraine, President Petro Poroshenko mentioned the heroic deed of the Crimean Vladimir Baluh. The Crimea annexed by the Russian Federation will definitely return to Ukraine, and the Ukrainian flag will rise again over the peninsula, President Petro Poroshenko said during the ceremony of raising the national flag on Sofievskaya Square in Kyiv, QHA correspondent reported. During the speech, he remembered the act of the Crimean Vladimir Baluh, who is now imprisoned by the occupation authorities. 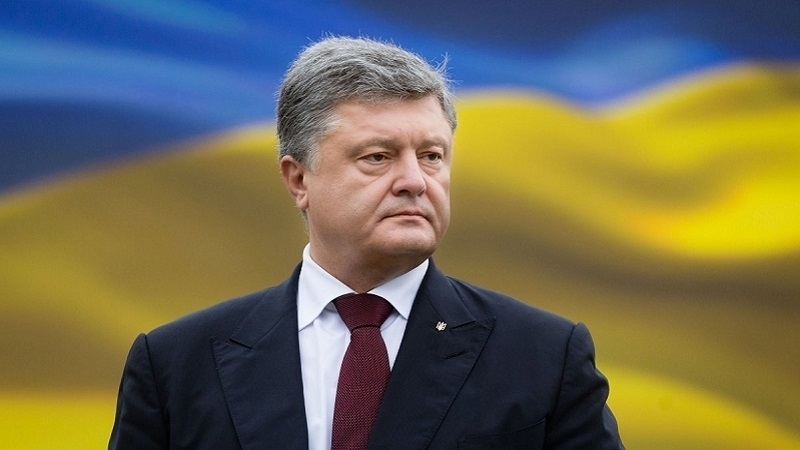 "Baluh knew his risks, and consciously committed this courageous act, having posted a Ukrainian flag over his house in Crimea, which makes the occupants writhe like the devil of the holy water, so they threw the Crimean behind bars," Poroshenko said. Earlier QHA reported that, today August 23, the Day of the National Flag is celebrated in Ukraine. On Thursday, August 24, 2017, Ukraine will celebrate 26 years of independence. Traditionally, cultural, entertaining and sporting events, concerts, exhibitions, fairs will take place in all cities of the country on this day.